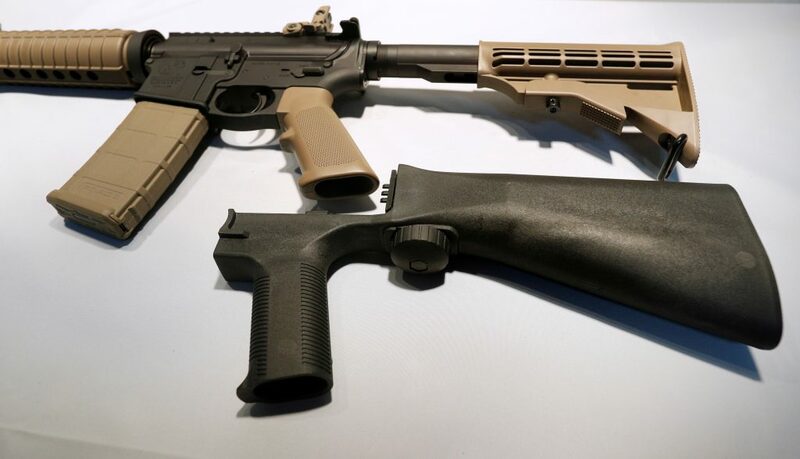 HB300, the bill that will ban bump stock devices, which allow semi-automatic rifles to fire at a fast rate, passed the Delaware House on Thursday afternoon 36-2. David Bentz and Debra Heffernan were absent, and Charles Postles did not vote. The two no votes were from Rich Collins, who votes against everything apparently, and Mike Mulrooney, whose obstinacy on this issue makes me long for his coming retirement. The bill heads to Governor Carney’s desk, and he is expected to sign it. So, good news. Now for some bad news. HB366, the Safe Storage Bill, which would make it a crime to unsafely store a firearm, has been rejected in the Senate Judiciary Committee, just like SB163 (the Assault Weapons Ban) was. Senators Bruce Ennis and Greg Lavelle are once again to blame. The bill had previously passed the House 21-16. Perhaps Senator McBride can add this bill to his motion to suspend the rules on Tuesday. Good thing they banned bump stocks. At least it’s something….Or is it? what happened to your other video (other site) where the guy pointed the gun at the cameraman? Did it occur to you that it might not be the best case to make about responsible gun ownership? Who is making a case for responsible gun ownership? The point is that you can “bump fire” a gun without a “bump stock”. what it shows is that too many under-trained morons have too easy access to guns. Do try to keep up. It’d be one thing if they just offed themselves…. but second hand “oopsies” bullets kill way too many people. That video you shared “on the other site” should result in that guy AT LEAST being fined, if not tossed in jail for a few days, have his guns taken, and undergo mandatory training to get them back. A gun is a responsibility. If you’re putting more time into finding new ways to be deadly than how to safely use the thing, you lose your right. I don’t know what you are going on about, but my point is that you can ban “bump stocks” but people can still “bump fire” the gun.